The Florida Department of Corrections is responsible for supervising nearly 150,000 offenders every year who are on community supervision, which includes probation, conditional release, controlled release, administrative control, work release and parole. (Although Florida technically doesn’t have parole anymore except for cases dating back to 1983, there have been an increase in parolees in Florida attributable to other states transferring supervision duties). Community supervision is a type of state supervision that imposes certain conditions on an offender in lieu of incarceration or after release. F.S. 948.001-90 gives Florida judges a great deal of discretion in deciding the terms of community supervision. These can include community service, educational sessions, maintaining contact with probation offices, drug testing or attending drug and alcohol counseling. In Florida, probation is considered a privilege. It’s not a right. 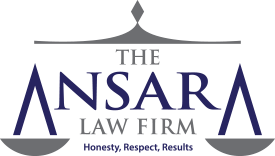 At The Ansara Law Firm, our Fort Lauderdale probation violation lawyers know that when someone fails to abide by specified terms, it can mean big trouble. Another stint in jail or prison. If your probation officer becomes aware of a violation, he or she will file what is called an “Affidavit of Violation” with the court, and you will be required to appear before a judge to answer to this alleged violation. You might receive a summons or there could be a warrant issued for your arrest. The affidavit is a sworn statement that details why the officer had reasonable grounds to believe defendant committed a violation. In many cases where an arrest warrant is issued, defendants will be placed on a “no bond” status, which will require him or her to remain in custody until a bond hearing. After that, there will be an arraignment on the violation charge at which time the court will set a date for an evidentiary hearing where the prosecutor will have the burden of proving a violation. It’s best to consult with an experienced probation violation attorney in Fort Lauderdale as soon as you receive notice of the accusation that you violated probation. The reason for the violation will make a big difference in the action the judge takes. The commission of a new crime is going to be treated differently than being an hour late to an appointment with your probation officer. Nonetheless, remember that the judge has a great deal of discretion. Incarceration is usually always on the table when it comes to the list of penalties for probation violation, so it’s important you make sure your rights are adequately represented. As was outlined in the 1992 Fla. 4th DCA case of Steiner v. State, trial courts can revoke probation or community control if the state can prove by the greater weight of the evidence that a defendant both willfully and substantially violated a specific condition of the sentence. Not answering the door during a home visit by the probation officer. If you have been accused of violating felony or misdemeanor probation in Fort Lauderdale or elsewhere in South Florida, we can help you weigh your legal options.